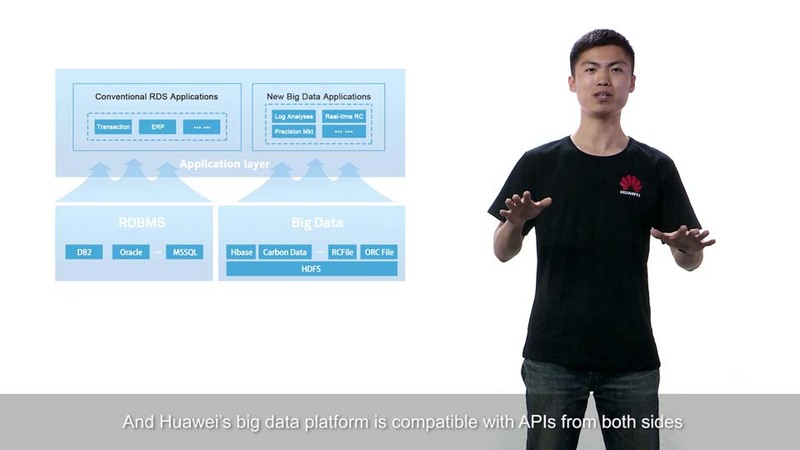 Huawei’s Big Data solution is an enterprise-class offering that converges Big Data utility, storage, and data analysis capabilities. This platform allows enterprises to capture new business opportunities and locate risks by quickly analyzing and mining massive sets of data. As of February 2018, Huawei's FusionInsight Big Data Solution has been trusted by over 1,000 customers from 55 countries. 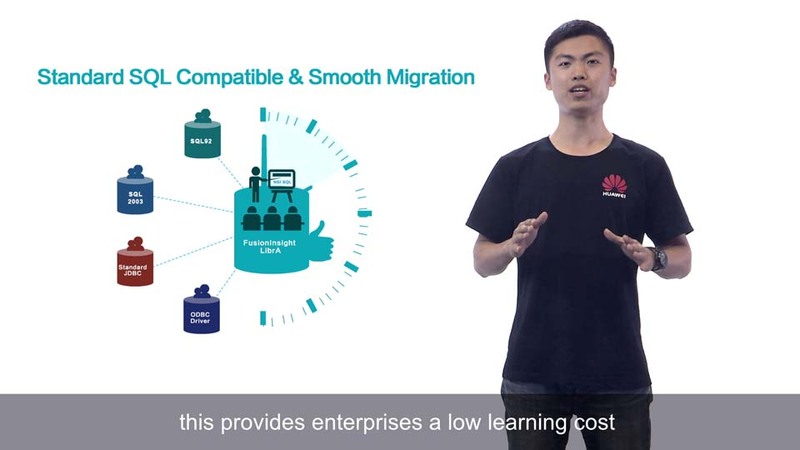 Huawei has more than 300 business partners, and multiple OpenLabs around the world to support joint innovation with its customers and partners in the Cloud and Big Data fields. The solutions are widely used in the finance, telecom, government, energy, healthcare, manufacturing, transportation, and other areas. In Innovation: What does AI need to spark business innovation? Offline and online data processing with response times down to the subsecond and even millisecond range. Secondary development APIs and environments enable organizations to accelerate their specific rollouts by 3-fold to 10-fold their original speeds. User-friendly O&M system simplifies system maintenance. Agile business migration capabilities fully satisfy SQL standards; organizations can smoothly migrate conventional services to the Big Data platform without having to modify code. Full data analysis capabilities drill down with pinpoint accuracy into millions of dimensions. Supports high-performance analysis and query, as well as multi-dimensional comparisons. 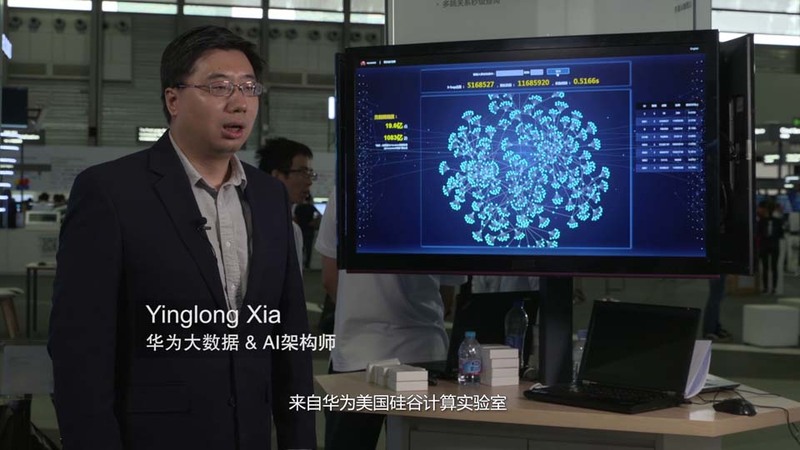 First Big Data software that fully complies with China’s information security standards for the finance industry. 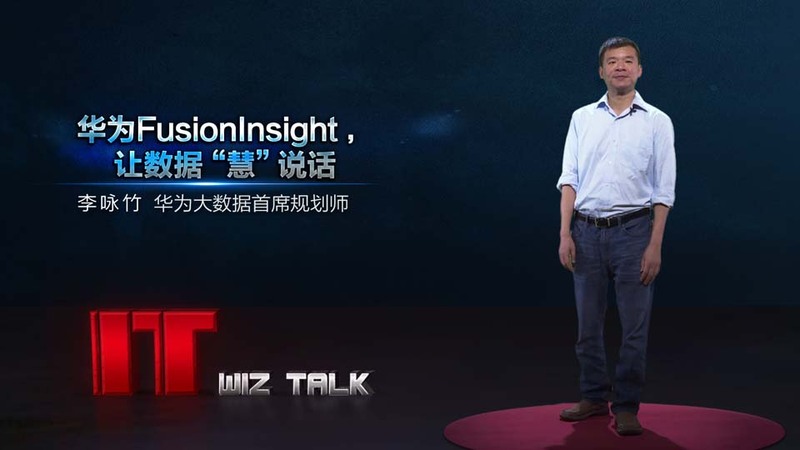 Huawei’s Big Data Solution consists of two products: FusionInsight HD and FusionInsight LibrA. FusionInsight HD is a Hadoop enterprise edition containing many components: HDFS, Yarn, HBase, Spark, MapReduce, Flink, Storm, Elk, Solr, Kafka, Loader, Flume, and so on. 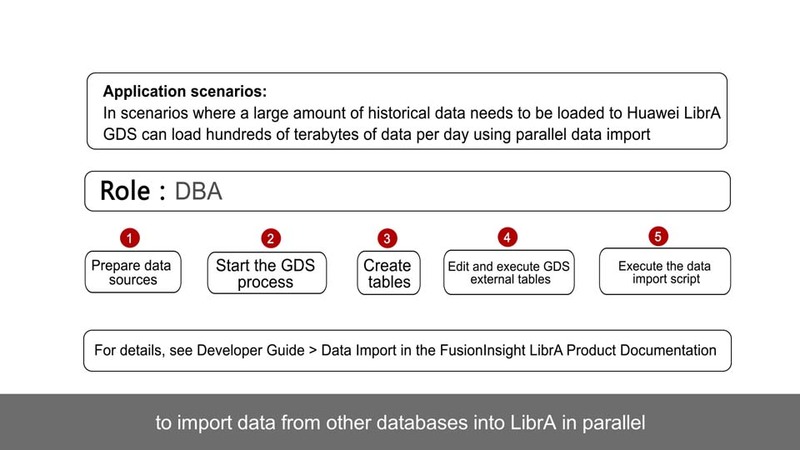 FusionInsight LibrA is a massively parallel processing database that features elastic scalability, excellent performance, rock-solid reliability, and superior cost-effectiveness. Provides data access with high throughput; can process large-scale data sets. As the resource management system of Hadoop 2.0, Yarn implements resource management and scheduling for applications. An in-memory distributed computing framework. Provides standard SQL engine and enables conventional applications to be smoothly migrated to the Big Data platform. A distributed computing engine supporting massive offline batch processing. A unified computing framework for batch and stream processing and stream processing. At its core is a stream processing engine that supports data distribution and parallel computing. A distributed, reliable, and fault-tolerant real-time stream data processing system. 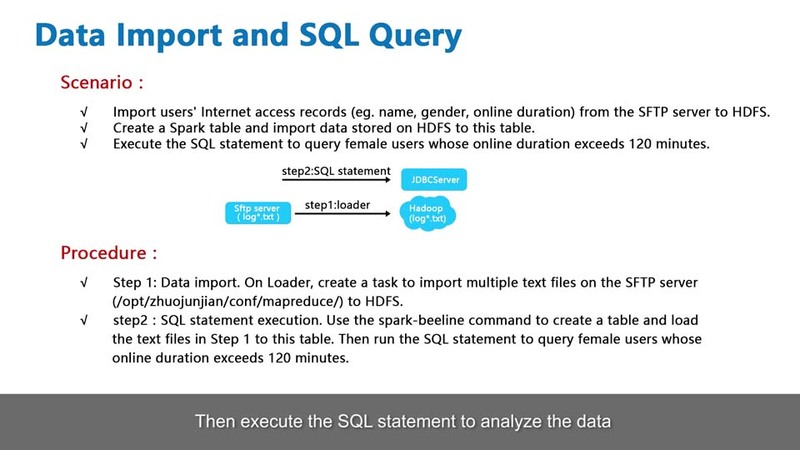 It provides SQL-like query languages (StreamCQL). An independent, enterprise-class application search server based on Apache Lucene. A distributed, partitioned message release-subscription system with multiple copies. 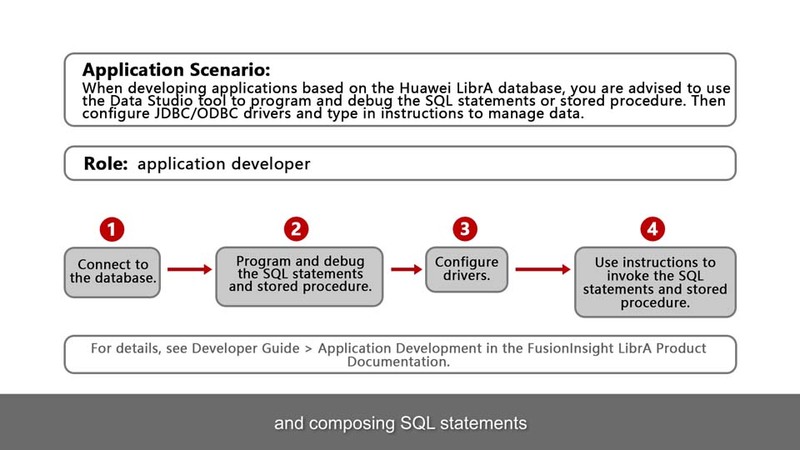 Exchanges data and files between FusionInsight, relational databases, and file systems. A column-oriented distributed storage system suitable for mass unstructured or semi-structured data that provides high availability, performance, and scalability. HBase supports real-time data read and write. A distributed mass log collection, aggregation, and transmission system that provides high availability and reliability. A massively parallel processing database that features elastic scalability, excellent performance, rock-solid reliability, and superior cost-effectiveness. It can replace conventional data warehouse systems and adds new levels of efficiency to decision-making. 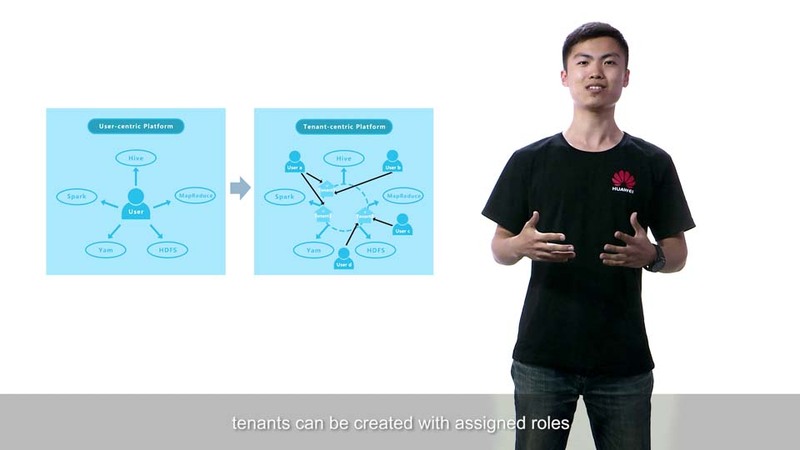 Huawei's private cloud solution focuses on key industries, such as public security, carrier, government, and finance to develop private cloud markets. Based on the private cloud, the FusionBridge hybrid cloud solution diverts services from the private cloud to the public cloud to implement hybrid cloud deployment. Massive sets of data are analyzed and processed, and the results are provided for later use. Offline processing jobs do not have intense requirements on processing time, but the data to be processed is in diverse formats and often reaches petabyte-scale. Offline processing frequently involves multiple MapReduce, Spark, Hive, and Spark SQL jobs and applies to data preprocessing and offline analysis in the finance, carrier, public security, and many other sectors. Interactive analysis and query have demanding requirements on response time and involve massive sets of data. Data used for interactive query is usually pre-processed based on data models suitable to the task. Interactive query includes precise query, ad hoc query, theme analysis, and other tasks. Data is collected and analyzed in real time, and analysis results are provided in a timely manner. Capable of rapidly processing data from diverse sources at high throughput, real-time processing applies to anti-fraud monitoring, real-time security surveillance, and other scenarios.